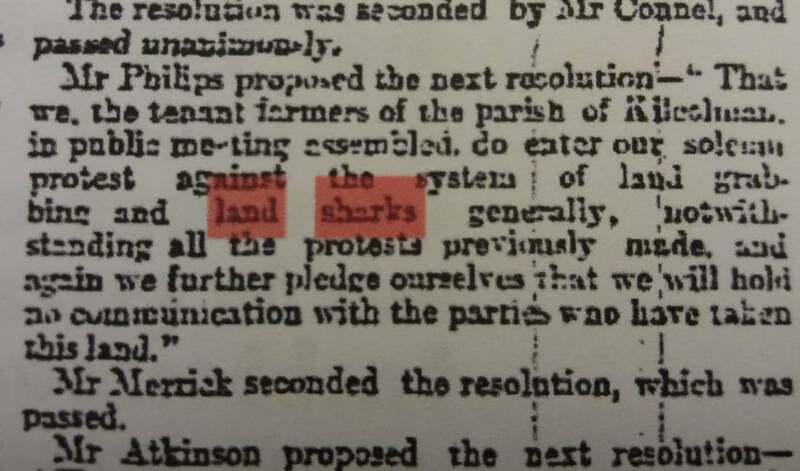 'I would strongly advise you to combine legally for your own protection, to join the Land League societies, and to beware of the land sharks (groans). 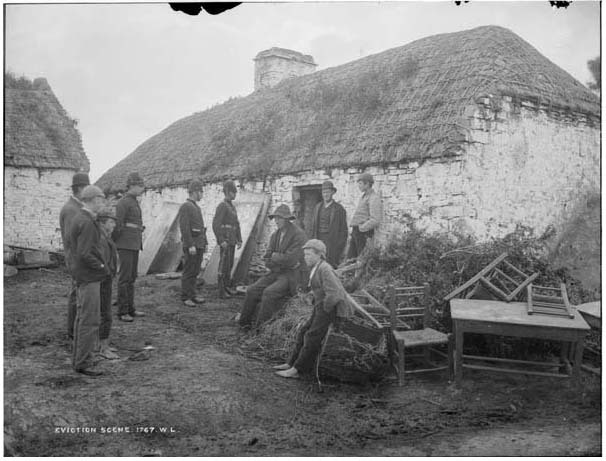 In the latter half of the 1800s, Ireland was embroiled in a period of agrarian unrest known as the Land War, in which poor tenant farmers still struggling from the aftermath of the potato famine fought against exploitative landlords. 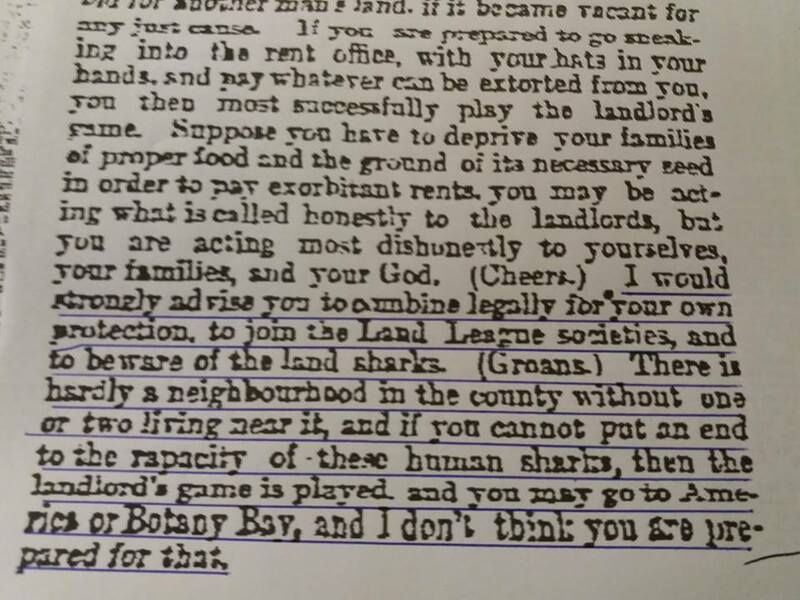 Rent prices had risen with farming profits through the 1850s and ‘60s, but the Long Depression which began in 1873 left many tenant famers unable to pay their rent. 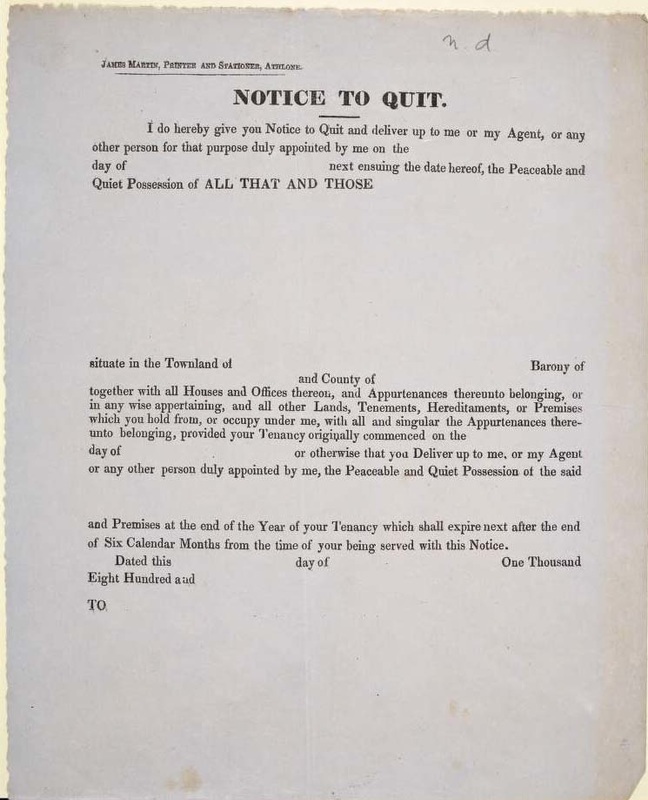 While organizations such as the Land League and legislation such as the Plan of Campaign aimed to provide struggling tenants with rent reduction and relief, evictions were still widespread. Many evicted tenants did not give up their homes quietly. 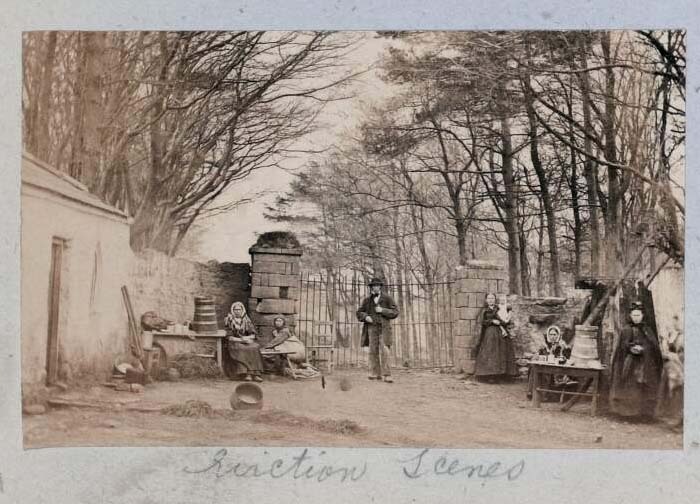 Though landlords enforced their property rights with armed police and British soldiers equipped with battering rams, tenants fortified their meager abodes with thorny barricades and fought back with boiling water, cow dung and whatever improvised weaponry they could muster. A building in Mitchelstown bears an anti-eviction banner and has its windows barricaded with brush to repel attacks. 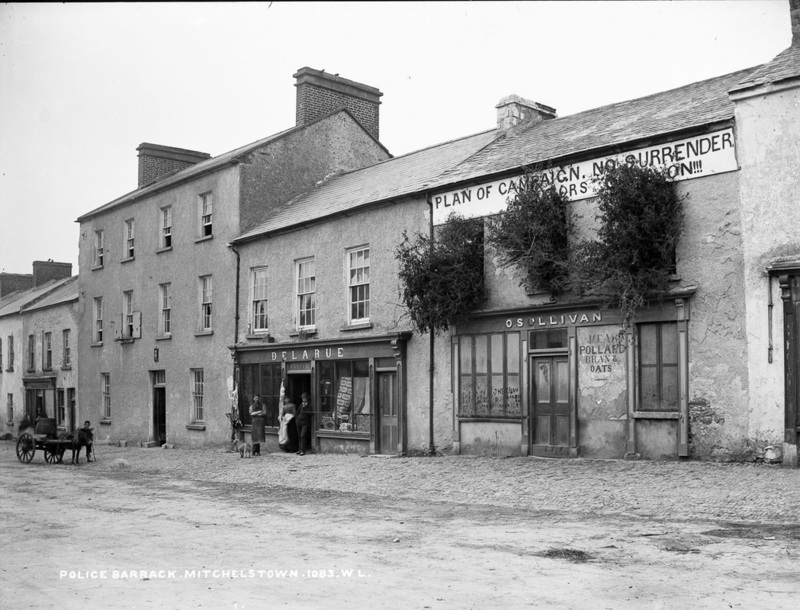 Image Courtesy of the National Library of Ireland & The Image EPH B364. ​This eviction took place on the Clanricarde Estate, East Galway. 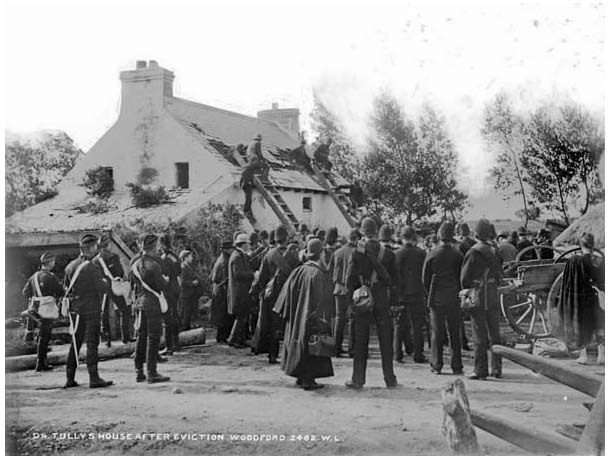 ​This eviction took place on the Vandeleur Estate, Co.Clare. 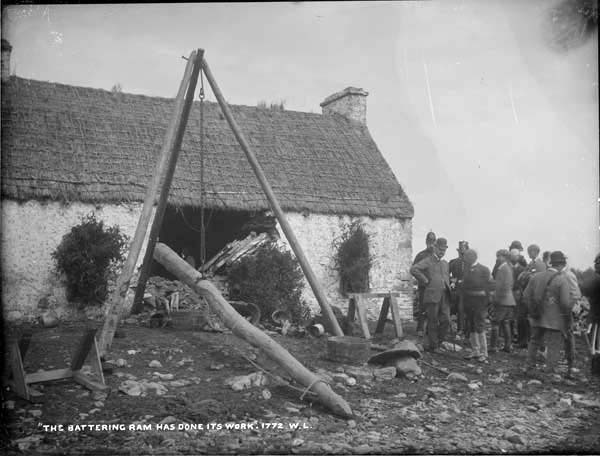 The Battering Ram was a purpose built pole and pulley system which could render a cottage uninhabitable. 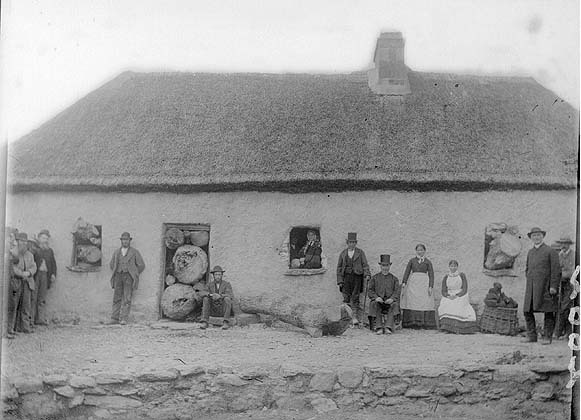 Album of photographs of the Coolgreany Evictions, Wexford, 1887. 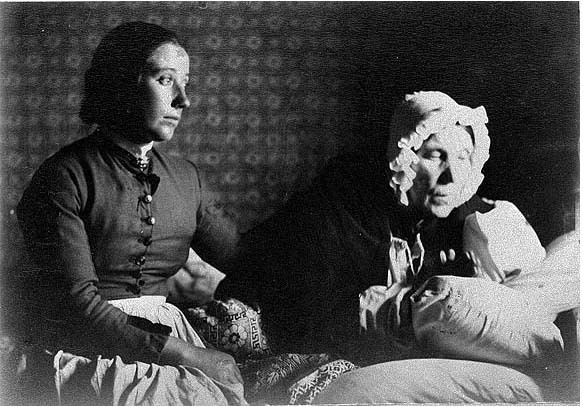 Among those evicted were Mr. Kavanagh and family, and others unidentified. Included are images of Fathers Farrelly and Mat Doyle, Dr. Dillon, Mr. Dan Cully and John Kelly. Also included are images of Johnstown Chapel and other unidentified priests.